Naples and Napoleon rewrites the history of Italy in the age of the European revolutions from the perspective of the South. In contrast to later images of southern backwardness and immobility, Davis portrays the South as a precocious theatre for political and economic upheavals that sooner or later would challenge the survival of all the pre-Unification states. 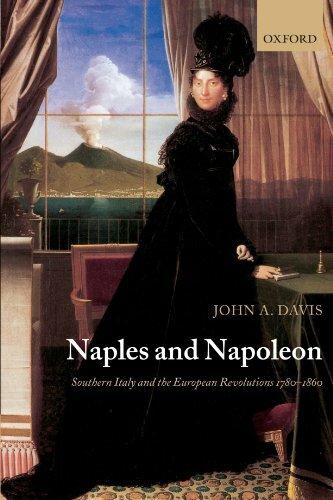 Focusing on the years of French rule from 1806 to 1815, when southern Italy became the arena for one of the most ambitious reform projects in Napoleonic Europe, Davis argues that this owed less to Napoleon than to the forces unleashed by the crisis of the Ancien Regime. However, an examination of the earlier Republic and the popular counter-revolutions of 1799, along with the later revolutions in Naples and Sicily in 1820-1, reveals that the impact of these changes was deeply contradictory. This major reinterpretation of the history of the South before Unification significantly reshapes our understanding of how the Italian states came to be unified, while Davis also shows why long after Unification not just the South but Italy as a whole would remain vulnerable to the continuing challenges of the new age.